Sign up and get a FREE Book! 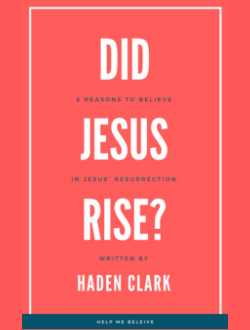 Sign up for our weekly blog updates and we'll send you a FREE downloadable copy of "Did Jesus Rise? 6 Reasons to Believe in Jesus' Resurrection."